Provide you with information about products and services available from South West Credit and associated businesses including information about discounts, competitions and special offers. South West Credit considers these reasons to be our " primary purpose" and necessary to effectively run our business of operating a Credit Union. We will use fair and lawful ways to collect personal information without deception or intimidation. When collecting personal information we will take reasonable steps to ensure that the individual is aware of certain matters. Prior to or at the time the individual may have access to the Privacy Statement and Consent. We may delay this if practical problems prevent South West Credit from providing this information and that cannot be overcome by reasonable means. Should personal information be supplied to South West Credit about a third party, it is the responsibility of the person providing the information to obtain authority to provide that information and to inform the third party of our identity, the purposes for which the information will be used and disclosed and that they can access to that information. Where reasonable and practicable South West Credit will only collect information about an individual from the individuals themselves. In order to provide products and services to you we require information about you. If you do not provide us with all the relevant information we require, we may be unable to accept your application for membership or provide products or services to you. If you are applying for an account governed by the Financial Transactions Reports Act and are unable to provide account information such as your name and address and/or the signatory you may not be able to withdraw funds. If you do not provide us with your Tax File Number there may also be taxation implications for you. For statistical purposes we collect information on web site activity (such as the number of users who visit the web site, the date and time of visits, the number of pages viewed, navigation patterns, what country and what systems users have used to access the site and, when entering our web site from another web site, the address of that web site) through the use of ‘cookies’. This information on its own does not identify an individual but it does provide South West Credit with statistics that we can use to analyse and improve our web site. any person to the extent necessary, in our view, in order to carry out any instruction you give to us and (unless you tell us not to) our related bodies corporate for the marketing of their products and services. Personal information is only provided to those entities to the extent necessary to enable us to provide our products and services and to the extent required by law. South West Credit will take reasonable steps to ensure the information collected is maintained in a confidential and secure manner to minimise the misuse and loss of any information collected. Data may only be accessed and modified by authorised personnel. Information will not be disclosed without the appropriate authorisation. South West Credit will inform individuals applying for membership that we may use personal information about them to communicate with them about products and services that we think may be of interest to them and that are available from us and other businesses with whom we have a relationship. We will give them the option to advise us that they do not wish to receive such communications and we will advise them that their consent to us using personal information for this purpose will be implied if they do not notify us that they do not consent. In all direct marketing communications to members we will tell them that they can opt out of receiving any more direct marketing communications. We will not send out any direct marketing communication to a member who has notified us that they do not wish to receive such communications. We will not supply any personal information about members to any organisations, other than a related entity for the purpose of allowing an organisation to direct market its products and services to our members. South West Credit will take reasonable steps to ensure that the personal information it collects, uses or discloses is accurate, complete and up to date. If the information is incorrect, you have the right to require us to amend the information. 'Easynet’, South West Credit ‘s Internet Banking system, uses the highest levels of technology to ensure maximum security, including 128 bit encryption of all customer data sent between your computer and the Bank’s system. 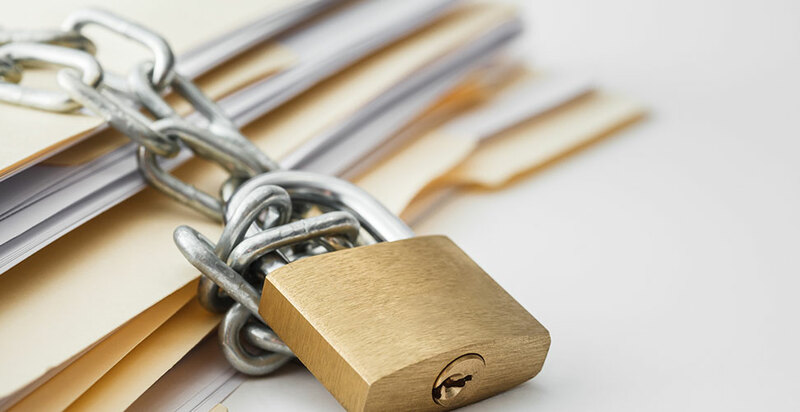 South West Credit will take reasonable steps to ensure the information collected is maintained in a confidential and secure manner to minimise the misuse and loss of any information collected. Data may only be accessed and modified by authorised personnel. Information will not be disclosed without the appropriate authorisation. Information collected will be retained in accordance with relevant legislation requirements. Information that is no longer required to be retained will be destroyed or de-identified in a manner that ensures data security. Access and Correction Subject to provisions of the Privacy Act 1988, you may access personal information that we may hold about you at any time by asking us. Request for access to information must be in writing and will be responded within fourteen (14) working days. The fee for miscellaneous and additional services, as outlined in the Schedule of Fees and Charges, will apply to the time of staff involved in locating and collating information, the reproduction costs, file retrieval costs if files are archived, and costs of time explaining the information to the individual. An enforcement body performing a lawful security function asks South West Credit not to provide access due to potential damage to the security of Australia. Where the access to information may reveal how a commercially sensitive decision has been made South West Credit may give the individual an explanation for the decision rather than direct access to the information. If access is denied, consideration will be given to the use of mutually agreed intermediaries that may allow sufficient access to meet the needs of both parties. Where information held is not accurate, complete or up to date application may be made in writing to South West Credit to correct the information. Should the application to correct information be denied, South West Credit will supply a statement outlining its reasons. Membership numbers allocated by South West Credit will be used to identify individual accounts and memberships. Identifiers issued by other organisations eg. Government Departments will not be used or disclosed in a way that it is inconsistent for the purpose that they were originally issued unless required by law. We will protect the anonymity of persons who participate in market research we conduct. If practicable and lawful, individuals will be given the option of dealing with South West Credit anonymously. Personal information will only be provided to parties outside Australia when required by transactions duly authorised by the individual and South West Credit unless the transfer is for the benefit of the individual, it is impracticable to obtain the consent of the individual and if it were practicable to obtain consent the individual would be likely to give it. the individual is incapable of giving consent due to a mental or psychological state or age or physically can’t communicate. Should you require further information or access to your personal information, please contact our Privacy Officer on telephone 0355603900 or contact us at South West Credit 117 Lava Street, Warrnambool Victoria 3280. When you use our web site, we send you a temporary cookie that gives you a unique identification number. A different identification number is sent each time you use our web site. Cookies do not identify individual users, although they do identify a user’s browser type and your Internet Service Provider (ISP).